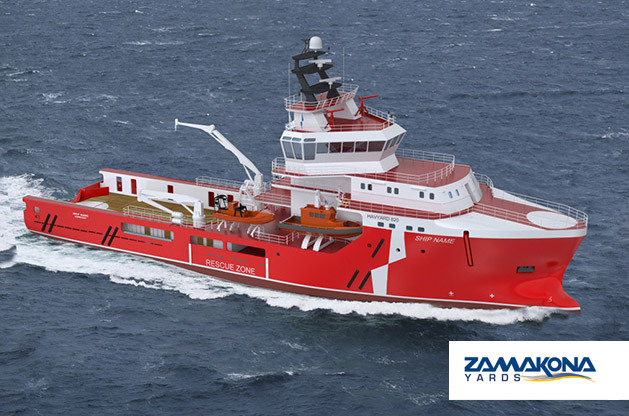 Atlantic Offshore has ordered two new vessels, worth €50 million from Zamakona Yards in Bilbao, Spain. Atlantic Offshore has placed orders for two FSV (Fast Supply Vessel) with towing bollard. Additionally, the company have options for two more vessels, of corresponding price. 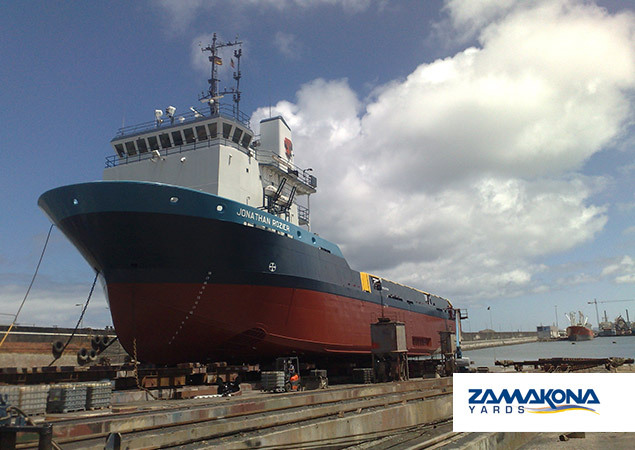 Zamakona Yards have built several similar vessels in the recent years, and have solid international references relating to quality and delivery time. Both vessels, and any options, will be delivered during 2014. The vessels are tied to the contracts Atlantic Offshore have entered with oil companies Total and Shell United Kingdom, and will operate in both Norwegian and British sectors. We will be built in the HY 820 design, developed by Havyard in close cooperation with Atlantic Offshore. Zamakona Yards will involve Norwegian subcontractors for the newbuilds. The vessels represent, in all aspects, one of the most modern standby vessel, and the oil companies are eager to acquire vessels that can serve functions beyond emergency rescue and response. It is imperative that future FSV vessels can alleviate platforms with towing and cargo-storage capacity. The vessels are equipped with hospital facilities with providing for up to 300 people. One vessel will be delivered with advanced firefighting capacity (FiFi II). The vessels are 68 meters long and 16 meters wide. Last month the Tidewater Offshore Supply Vessel “Jonathan Rozier” with IMO number 9273454 was repaired in our shipyard in Las Palmas de Gran Canaria -Repnaval-. HULL PREPARATIONS AND PAINTING: Cleaning, blasting and painting. STANDAR WORKS AT: Anchor cables, chain lockers, sea inlets, ships side valves and hull anodes. TANKS: Cleaning fuel tanks, ballast tank, sewage tank , fresh water tank , liquid mud tank, bulk tank and other tanks. DIESEL ENGINES AND ALTERNATORS: Port main engine, stbd. main engine, port generator, stbd. generator, harbour generator and listed engine. AUXILIARY MACHINERY: Reach Rods, fridge compressors, cargo fuel pump, sewage plant and butterfly valves. ELECTRICAL: Aft Search Light and Main Switchboard. BRIDGE EQUIPMENT: Radar, Magnetic Compass, Bridge Furniture. SAFETY EQUIPMENT. :Fire Pump, Engine Room Alarms,Rescue Boat Davit. ACCOMMODATION: Crew Cabins and Galley. STORES AND SUPPLIES: Spares and Consumables. We Thanks Tidewater for placing their trust in Zamakona. 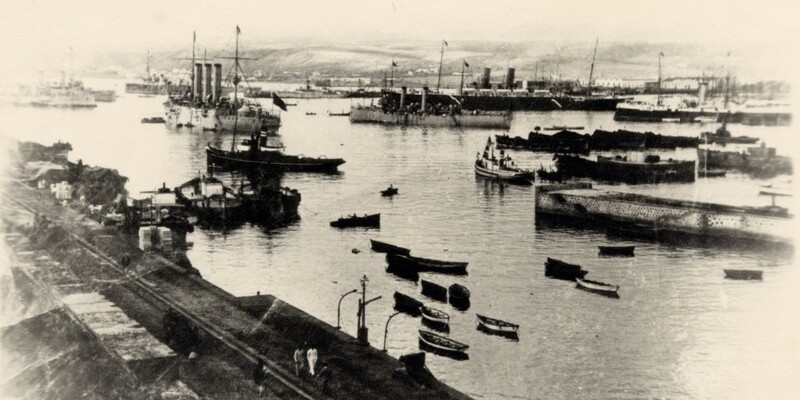 Since ancient times the Bay of La Isleta, on the north-east coast of Gran Canaria, had been used by Phoenician and Roman ships as a safe anchorage; but it was not until 1478, the foundation year of Las Palmas de Gran Canaria, that regular port activities were to be seen in this harbour.